Hazy Stone Fruit Ale / Single Malt, Dual Hop – SMaSH, SMaDH | Kodiak Brewing: Beer, Wine, Cider, Mead Blog. 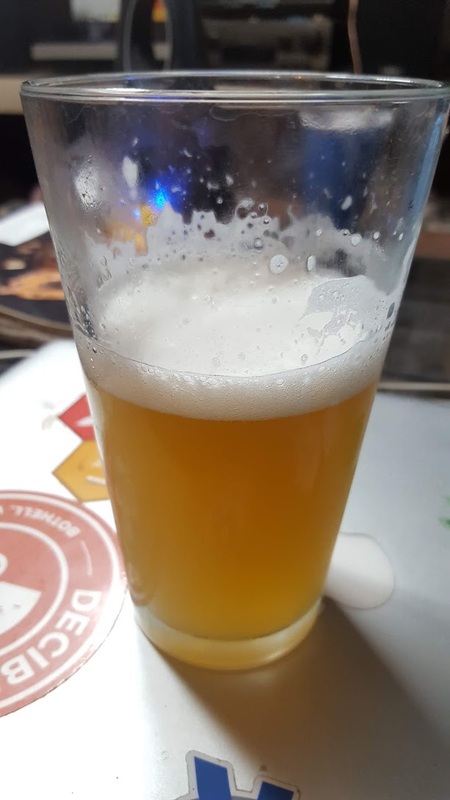 It is said that in order to become really good, or semi-pro or Pro beer Crafter, at the very least you need to be able to consistently create good beer from just one grain and either one hop or some mix. This means that you need to dial in the entire process well and put to work your understanding of everything. For the grain we used a local barley, just makes sense to support your local Eco system and local farmers, so unless you can duplicate this, your results will be different, but the idea is to select a grain that has good characteristics and which will produce good beer, your local brew shop should have a few choices to select from, talk to them. We opted for just a good ALE, nothing even fancy as an IPA and of course I did something fun when using the yeast. I used a re-pitched from a previous brew, an Imperial Barbarian that was sitting in a jar in the fridge for the last 11 months, yikes, right! ? The average person would be like, what!!! and you did “no” starter, whuuuut! Exactly! Yeast was pitched a few hours after removing from fridge to let it warm up, no starter, no nothing. This yeast is typically slow to start, even if fresh, it took a solid 2 days, but then the activity started, it was a very steady fermentation, very consistent and lasted 3 weeks! The Barbarian yeast will produce nice stone fruit esters that work great when paired with citrus hops. Barbarian is recommended for exceptionally balanced IPAs. Our attenuation rate was crazy high at 86%, compared to the range of Attenuation: 73-74% expected. For the Hops we used whole hops that we grew on our property (about 50/50) Cascades and Yakima, both also developed in this region. A picture of the beer after 1 week in the fridge keg, after removal from fermentor – no secondary stage was employed. It was a little cloudy, it looks almost like a NEIPA, or some hazy Ale. At 2 weeks it cleared up, but still had a nice haze. This could be because of the grain or maybe my experimental yeast more likely given the 3 week fermentation, but good news no off flavors and the haziness was a welcomed surprise! The beer tasted good and is very drinkable only after 1 week, with nice hints of Stone Fruit, Peach and maybe even some Apricots. Bottom line, good beer, low cost (we paid no money for yeast or hops), efficient yeast and quick availability. More taste details with aging will be posted later along with a more exact recipe. 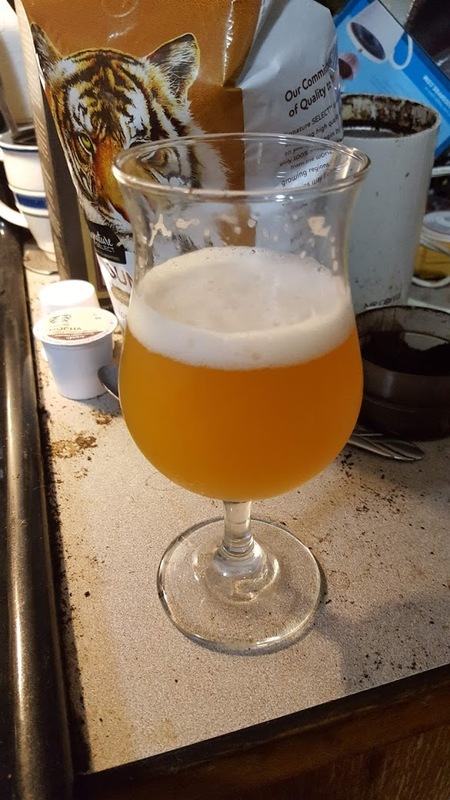 This entry was posted in BEER Stories and tagged ale, barbarian yeast, beer, hazy, homebrewing, smash. Bookmark the permalink.